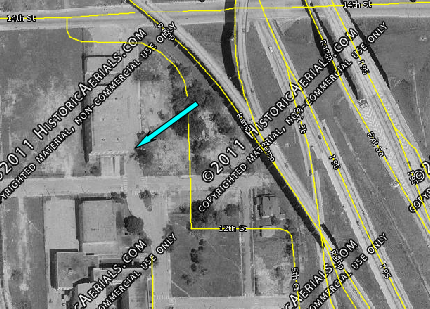 Cuts 19, 20 +21 are all on Indian Creek Drive at 63rd Street as they cut from the right lane and do a quick, tire squealing left turn under the 63rd Street flyover. 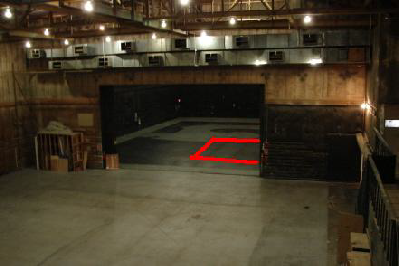 In the picture below the light blue line is where they filmed cut 18. 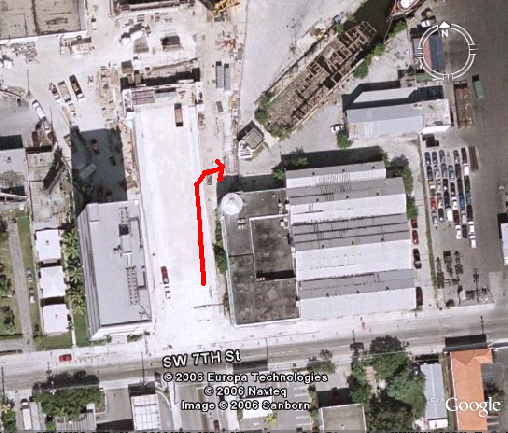 The pink line is where they filmed cut 19. 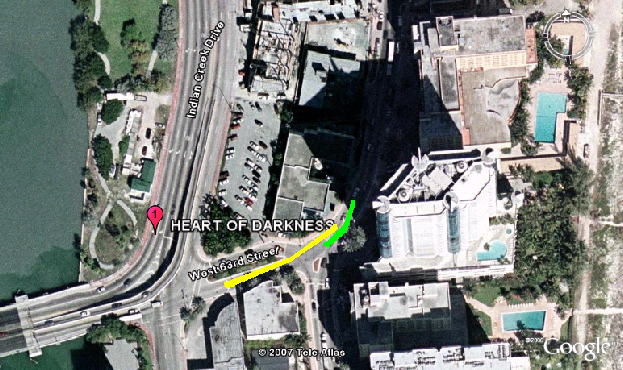 The yellow line is where they filmed cuts 20 + 21. 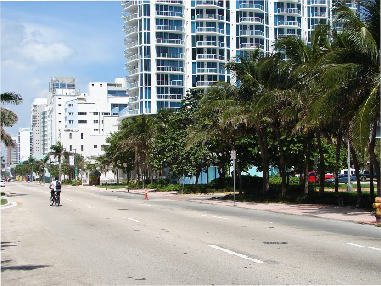 Cut 22 they are now northbound on Collins Ave. past the 64th Street Park. 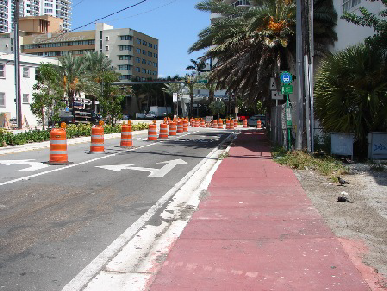 Cut 23 they are back on 63 Street headed east toward the Casablanca. 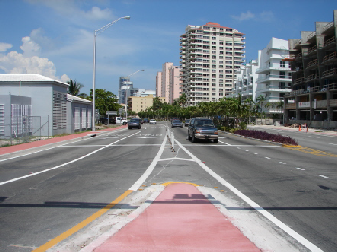 Cut 24 starts in front of the Casablanca and heads north up Collins Ave. 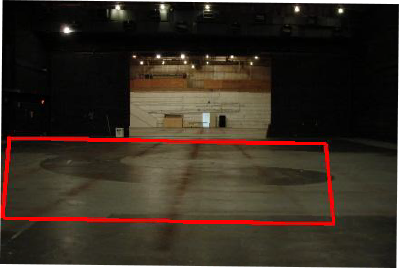 The yellow line in the picture below is where they filmed cut 23. 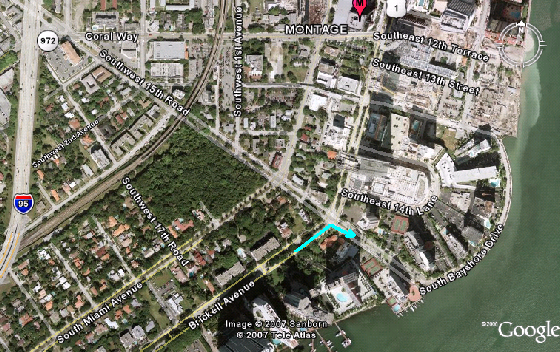 The green line is where they filmed cut 24. 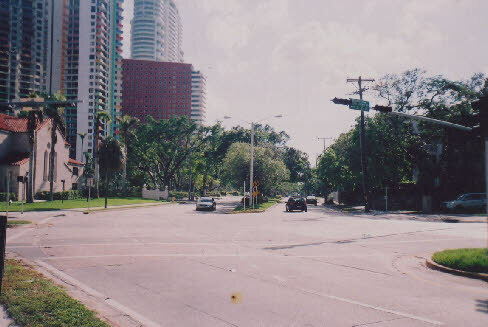 Cut 25 is southbound on Collins Ave. by the 64th Street Park with the camera shooting toward the west side of the Avenue. 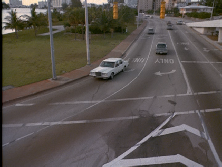 Cut 26 jumps over to mainland Miami to where the teaser was filmed. They start off the cut heading westbound on N.W. 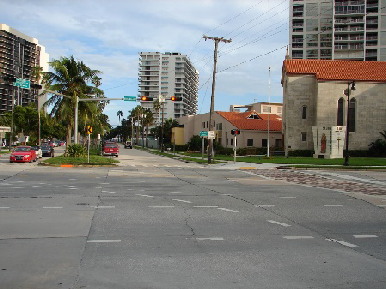 13th Street and turn right (northbound) onto N.W. 6th Ave. 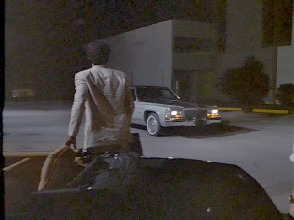 Here they stop and let Crockett and Tubbs out at Crockett's car. 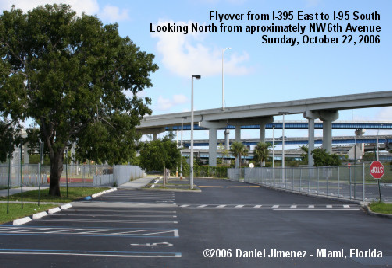 Thanks to DanJ for finding this location and letting me use his location pictures. The above pictured house is now part of Booker T Washington High School. It was saved from demolition due to historical significance. 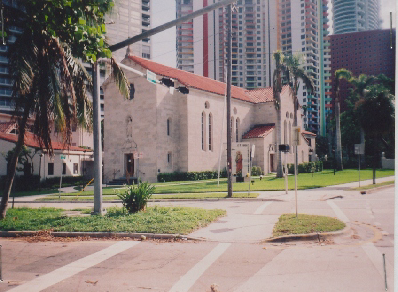 At one time it belong to Dr. William A. Chapman who was one of Miami's first black doctors. 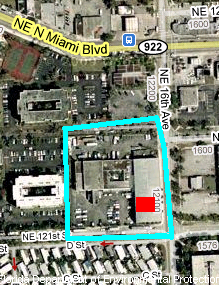 The small red square is where the Carl Ritz Import Export building was located. 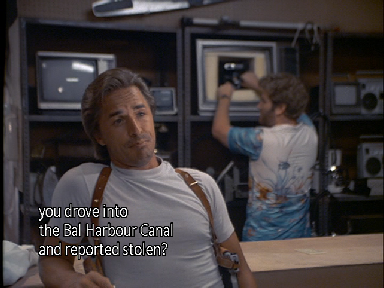 Crockett and Tubbs return to the Organized Crime Bureau. 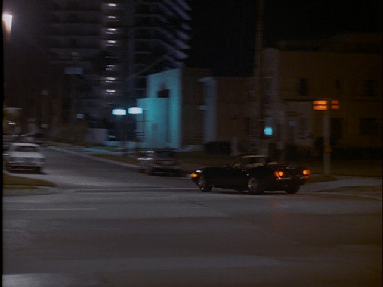 This is the first time we see an exterior establishing shot of the O.C.B. which becomes such an important part of the series. 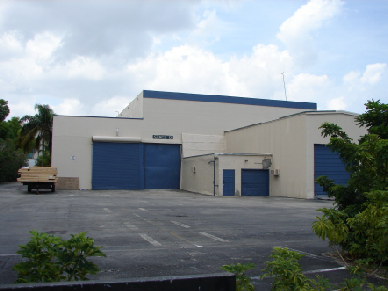 This same building's exterior was used from this point on through the rest of the series. 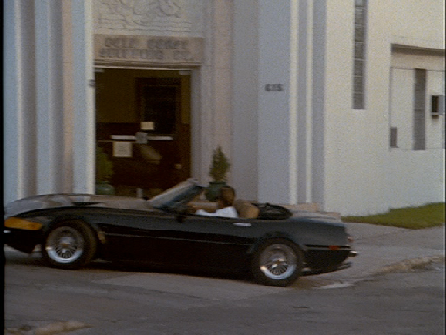 The Pilot used a different building as the O.C.B. but it was not obvious. 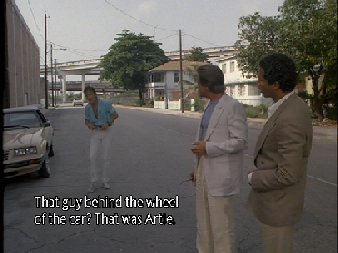 In this scene Tubbs and Crockett drive north on S.W. 2nd Ave. and turn right into the lot. 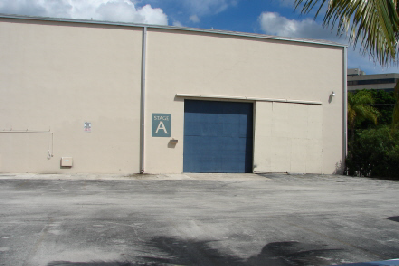 The sign seen over the door is the actual real life name of the company that occupied the building, Gold Coast Shipping. 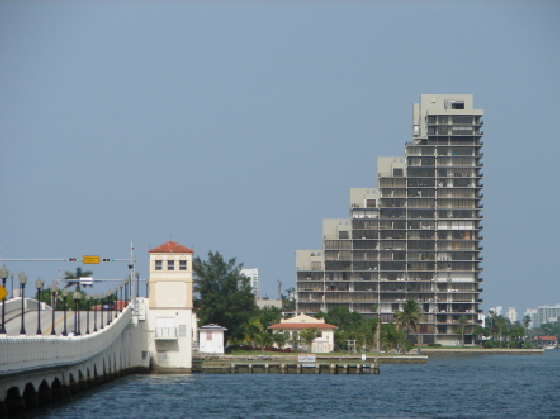 Unfortunately this landmark has been torn down and replaced by a high-rise condo building. 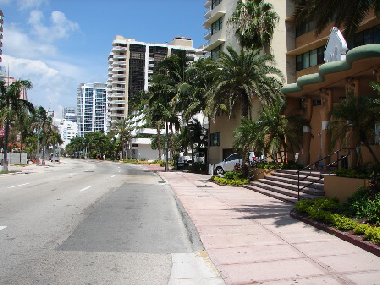 What a horrible shame, as I had taken the opportunity walk thru the old Gold Coast Shipping Building and found it a great example of that period’s architecture as well as such a major piece of Miami Vice history. A great building now gone. 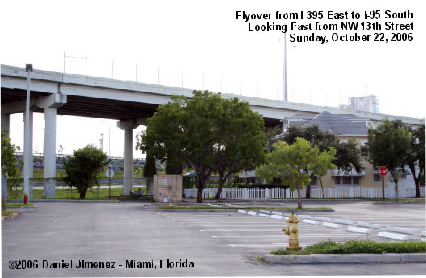 It was located on the south side of the Miami River at 615 SW 2nd Ave. between the river and S.W. 7th Street. 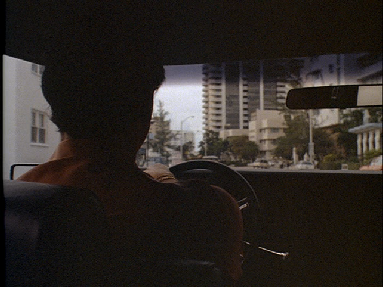 This is also the first time we see the interior O.C.B. set. 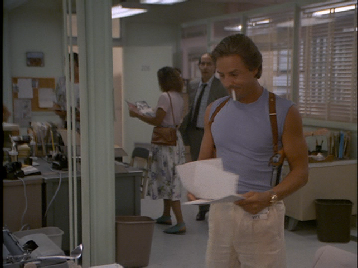 In the Pilot Brother's Keeper they filmed in real offices at an oil company. 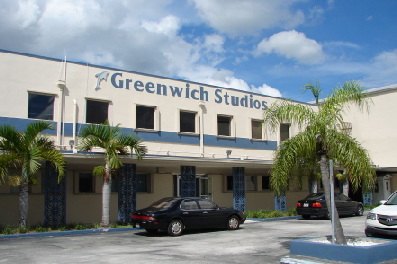 Now that the series was picked up they have built a set within stage A at Greenwich Studios in North Miami. Greenwich is famous for the series Gentle Ben and Flipper. 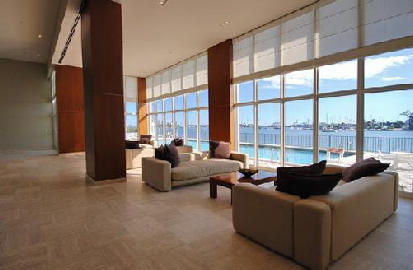 The two pictures below are of the interior of the studio. 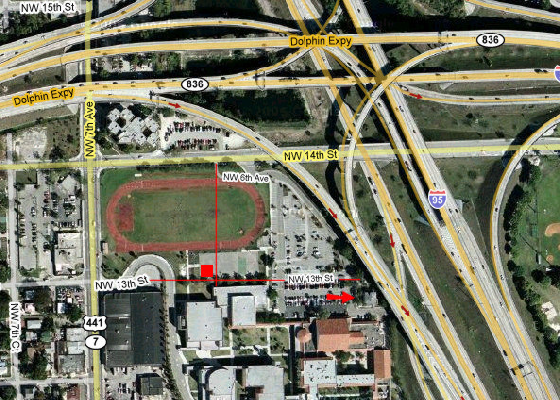 The area outlined in red is the approximate area where the O.C.B. 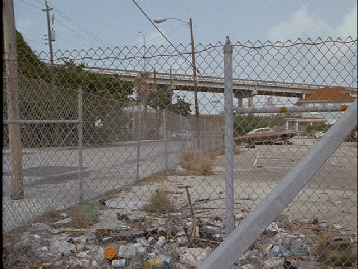 set was constructed with moveable walls. 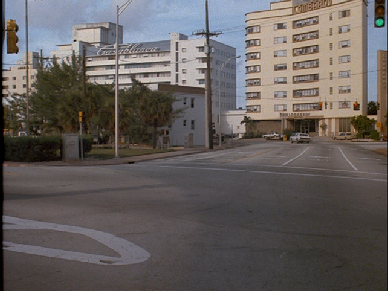 From here we go to penny's murder scene. 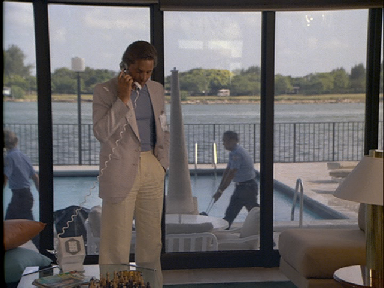 This was filmed on location at 1000 Venetian Way, Miami. From here they go back to the O.C.B. 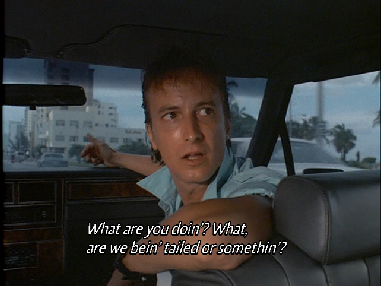 then to see Zito and Swytek who are setting up a stolen goods sting operation. This was filmed in Stage D of Greenwich Studios. 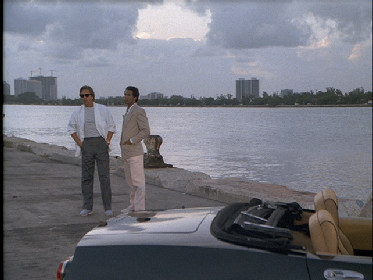 Next Crockett and Tubbs meet with Swytek's F.B.I. contact. 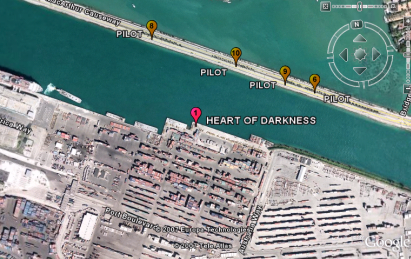 This was filmed on Dodge Island/Port Of Miami. 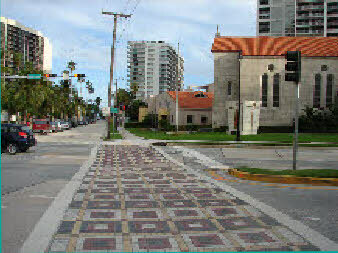 On the North side, east end of the Island. Next we enter into a montage using clips from the pilot of the Daytona driving on Biscayne Blvd. mixed in with Tubbs and Crockett getting ready to go out to the meet. 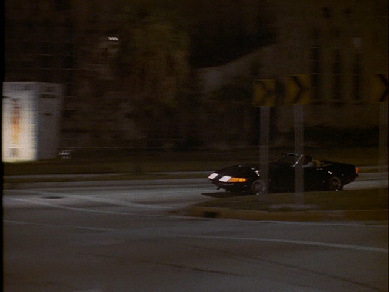 Then at about 21:12 we see new footage of the Daytona. 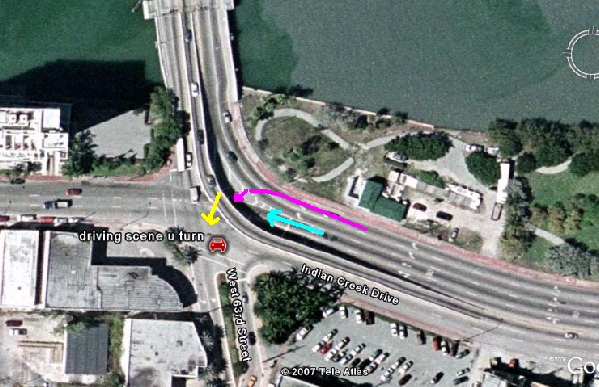 It is headed northbound on Brickell Avenue and turns right onto S.E. 15th Road. St Judes church is seen in the background.